If you feel it happening, it’s already too late – and that feeling of dread starts almost immediately. You’ve hit a pothole, and something about your car feels off – maybe a weird noise that just started, or a sudden drop in how well the wheels respond to your steering. This can be a frightening time, and if you’re not an experienced mechanic it’s very likely you may not know exactly what the problem is right off the bat. Luckily, it doesn’t take much automotive knowledge to figure out what happened when your car hit that nasty notch in the road, and with a little guidance almost anybody can diagnose their car’s woes before heading in for auto service in Albany, NY. While your car could be experiencing any number of maladies depending on the size of the pothole, the speed you hit it at, or the condition of your vehicle in the first place, here’s a quick rundown on some of the most common way drivers and their vehicles end up taking a hit from these pesky annual hazards. You know how much it hurts when you stub your toe? Same goes for your car – only instead of a bruise, your car’s wheels could suffer some pretty serious damage after a collision with a pothole, and that’ll keep you immobilized until a replacement is put on. Take a close look at your wheels and try to assess their condition, looking especially for tire punctures, bent or broken rims, or any bulges in the sidewall. 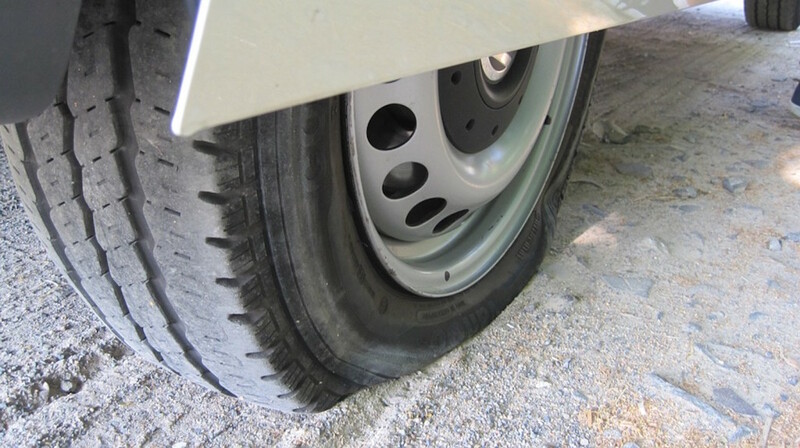 These can be surefire indicators that your tire or wheel has been severely damaged, and should be replaced as soon as possible before taking on the road again. Your best bet here is to get some new tires (or new wheels if your old ones are substantially damaged), get a full tire balance and alignment, and get on your way to take on another day. In other cases, drivers who’ve hit potholes may begin to hear a dull grinding noise when turning hard in the same direction as the side of the car that hit the pothole. This could mean that a rock or some other debris got caught between your rotor and the wheel’s dust screen, and should be removed. This could also point to a bent dust shield, which can rub up against your rotor and cause damage over time. Luckily, most dust shields can be simply bent back into place, or simply require a quick and inexpensive replacement if need be. In some instances, post-pothole vehicles may begin to shift to the side a little bit, against the commands of the driver. This drifting can be a sign that your wheels are misaligned, which can hurt your car’s fuel efficiency and lead to unpredictable operation out on the road. This is a dangerous problem to drive with – and a ridiculously easy problem to solve. Head into your local auto shop and get your tires aligned and you’ll be good to go in no time. Perhaps you hit a number of potholes in quick succession, or really fell into a doozy that left you feeling like your car was about to sink into the ground – and along the way, you heard a loud “thunk” or scraping sound under your feet. This could mean underbody damage, which would usually present itself as less responsive steering or some pretty gnarly grinding noises during regular operation – never a good sign. 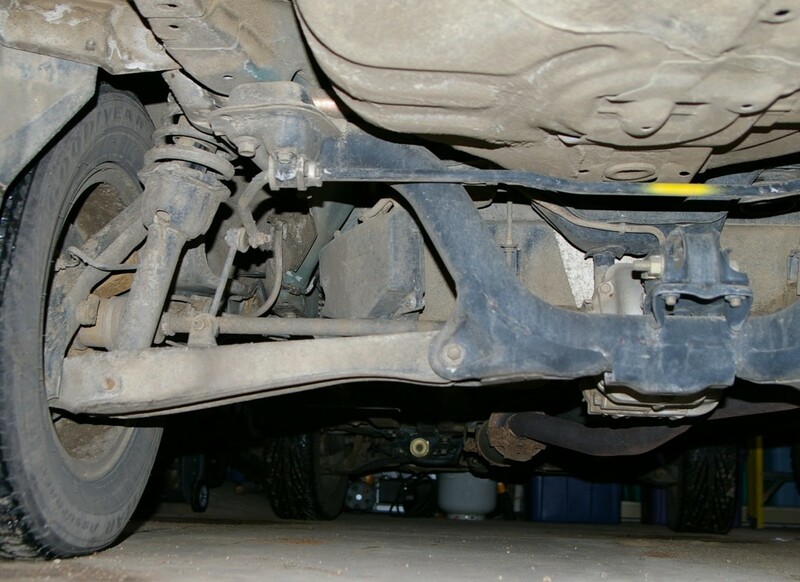 This kind of underbody damage could be located anywhere, including your suspension system, your axles – in fact, your vehicle could even be leaking fluids – all of which can be fatal if not addressed by a professional mechanic as soon as possible. Damage to your suspension and axle will noticeably alter handling, making your car land harder and ride rougher on uneven terrain and become less responsive to steering from the cockpit. This kind of erratic operation can be seriously dangerous, and will likely get your car impounded if it’s ignored for too long. Damage to your vehicle’s fluid exchange system is certainly bound to be a death knell for your car if it’s not addressed, mostly because critical components in your vehicle – like your transmission, your engine, and your fuel tank – rely on these systems to perform vital automotive functions. Lose these, and your car is basically an inconvenient hunk of metal – so it’s best to get it checked out before it becomes a major problem. Underbody damage certainly isn’t rare, and in most instances the repairs are relatively simple to take on if done early enough. Take a quick look at your car’s belly and see how everything’s running – it could save you some heartache, and some cash, in the future. In rare cases – say, a sinkhole in the middle of Main Street – you may hit that killer pothole that actually damages your car’s most internal processes: your engine and your exhaust. In many cases, this stems from damage on the back end of the car that bends, damages, or punctures the exhaust system. 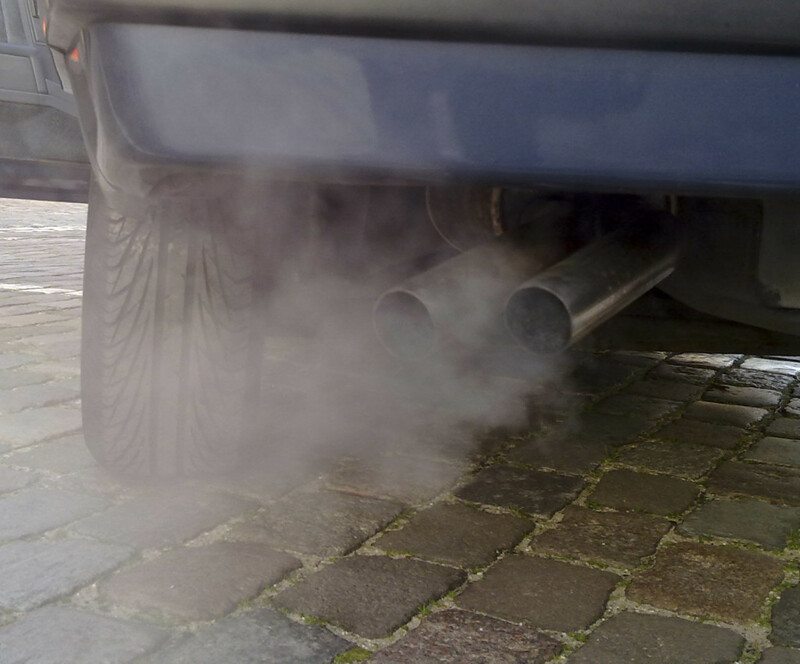 Without a properly-working exhaust, your engine won’t be able to efficiently filter air and remove particulates – and that can make for a nasty buildup of sludge in your engine, reduce the efficiency and performance of your engine, and can generate some weird noises when you’re on the road. This kind of damage is a real car killer, and usually requires some extensive repairs to the system depending on the level of damage. This would be a great time to head into your trusted mechanic’s shop and ask for a full system checkup as soon as possible – giving you a better chance of saving your car before it’s too late. 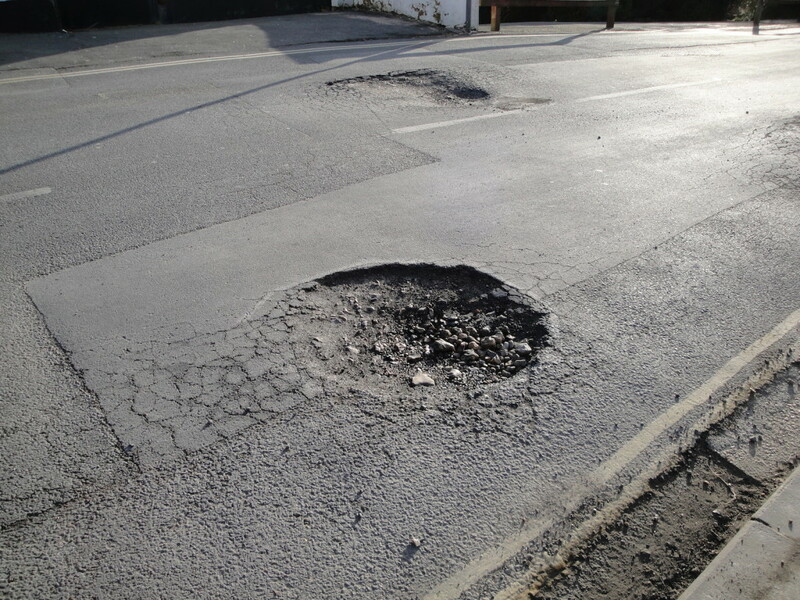 Whatever your car’s particular signs or symptoms might be, pothole damage is never a good thing – and if you’ve got that sinking feeling in your gut after hitting a particularly nasty one, it’s best to get into DePaula and get your car checked out, pronto. Pothole damage will kill your car if you don’t do something about it – so get your car checked out, and get ready for next year’s challenges.